NLB keeps a substantial inventory on hand of top-quality spare parts for NLB pump units and accessories, ready for immediate delivery. 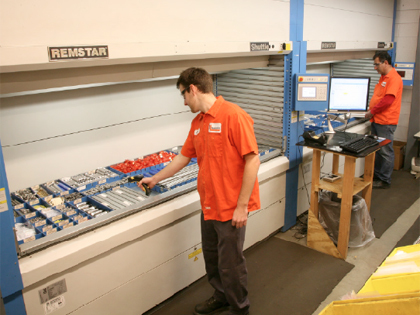 A state-of-the-art parts management system assures that orders are filled quickly and inventory is replenished as needed. You can order by phone (toll-free, of course) or email, whichever is more convenient. Or you may find what you need at your local NLB branch. By phone: 1-800-227-7652 Monday through Friday from 8 a.m. to 5 p.m., and Saturday from 8 a.m. until noon. (eastern time). By e-mail: contact our parts department directly at nlbparts@nlbusa.com. Expedited return authorization: click here to download an application.